Report: Samsung Will Bring Wireless Charging To Future Galaxy A & J Series Phones - AndroGuider | One Stop For The Techy You! The gap between the flagship and mid-ranged devices has closed over the years. Features from flagships make their way to mid-rangers eventually but that pace has increased now. For example, Samsung introduced the Infinity Display with the Galaxy S8 and the Galaxy S8 Plus at the beginning of 2017. Later that year, we saw the Infinity Display make its way to mid-range smartphones with the Galaxy A8 and the Galaxy A8 Plus, and earlier this year, Samsung introduced Infinity Display to its budget J-series smartphones. Samsung is now planning to bring down another feature from flagship smartphones: wireless charging. 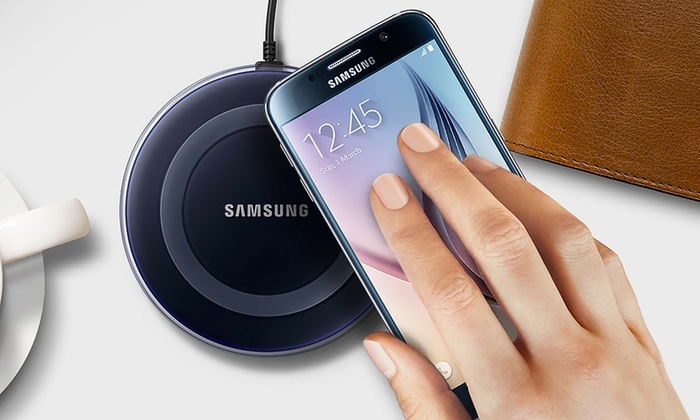 According to a report from etnews, Samsung will be releasing a low-cost wireless charger at $20 (Rs 1,460) or lesser. The fast wireless chargers sold by Samsung currently cost the double. This move clearly hints at Samsung's aim to extend the feature to Galaxy A- and J-series devices. If you are thinking that a lower cost would result in a compromise in performance, then that's not the case. etnews claims that the upcoming wireless charger will have the same performance as Samsung's current 9W charger priced at $40. That said, Samsung must have cut the corners somewhere to bring down the price. We will know that when Samsung launches the wireless charger later in the month.